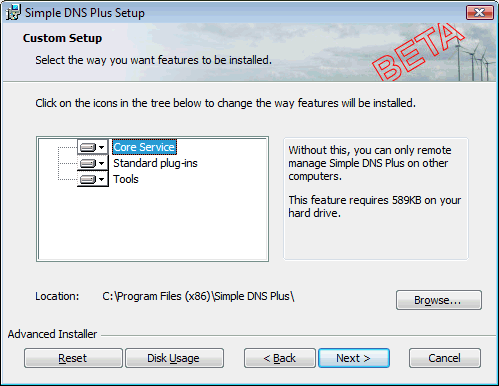 The upcoming Simple DNS Plus v. 5.2 supports remote management, so that you can use the normal Simple DNS Plus user interface on a remote computer. This is much faster and uses much less bandwidth compared to accessing a remote server via Remote Desktop, VNC, or similar. 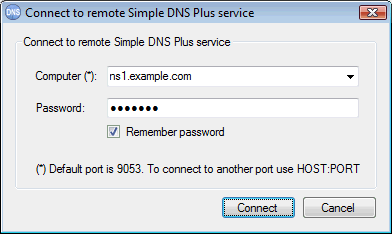 Traffic between the server and the remote GUI is highly optimized and secure. Authentication uses SHA-1 challenge/response to prevent password sniffing, all data transferred is encrypted, and larger data chunks (such as zone files) are compressed. 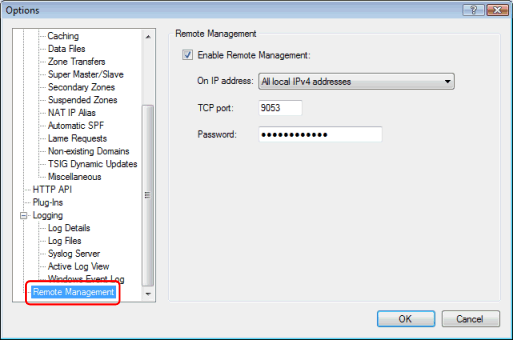 It is possible to create desktop shortcuts pre-filled with the remote computer and password - details. 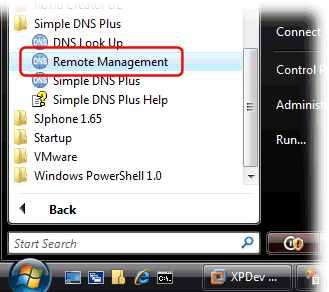 The remote management feature is available in Simple DNS Plus v. 5.2 BETA build 10 and later. For other updates in v. 5.2 BETA build 10, please see the BETA release notes.